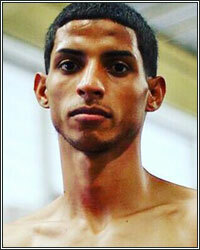 TITO ACOSTA WARNS CARLOS BUITRAGO: "I WILL WIN JUNE 16TH BY KNOCKOUT"
World Boxing Organization Light Flyweight World Champion Tito Acosta will showcase his vast skills June 16 in his first title defense against Nicaraguan challenger Carlos "Chocorroncito" Buitrago in the "La Batalla" 12-round main event, airing on pay-per-view, live from the Coliseo de Puerto Rico Center in Hato Rey, Puerto Rico. "My goal is to be the best," Acosta said. "I grew-up watching Tito Trinidad and Miguel Cotto, who are my favorite fighters. I will work as hard as I can to give the best to my family, as well as make my island proud. I will win on June 16th and let the world know that I am the best 108-pound boxer in the world." Having a future Hall of Famer such as Cotto as his promoter is a tremendous advantage, in and out of the ring, for Acosta. "It means a lot and is an honor for me to have a living legend like Miguel Cotto as my promoter," Acosta explained. "He has guided my career the best way. He also gets involved in my camp and wants me to get better and better every fight." "Tito Acosta is a really good fighter," Cotto commented about his protégé. "He is World Champion for a reason. We will work to give him the best opportunities. Tito has an opportunity to show the world on June 16th what he is made of and who he is. As World Champion, he needs to be at the highest level to have a brilliant performance each fight, because the better performances and victories, the bigger name he will build." "It is important for a fighter to do his job in the ring because every performance is a unique opportunity to show the world who you are and at what level you belong. People in Puerto Rico love boxing, and its fighters." All three of Buitrago's career losses have been to world champions, including a pair to Thammanooon Niyomtrong (11-0) in 2016 and 2014, both by way of 12-round unanimous decisions in Thailand for the Interim WBA title. Buitrago also fought a 12-round split draw in 2013 to then-WBO Minimum World Champion Merlito Sabillo (12-0) in Manila, Philippines. "Chris Buitrago is a great fighter and tough challenger, who has the highest level of experience, and that motivates me," Acosta spoke about his Nicaraguan opponent. "People want to watch a toe-to-toe brawl and he brings that style. I think he will brawl with me, but I'll be ready for any style he brings June 16th. "I work for the KO (he has 17 knockouts in his 17 wins) because that's what fans like. I work for that every fight and I will win June 16th by knockout!"